It is the spirit and attitude of a particular time. It represents the cultural, spiritual, or political climate. You could say that it is the spirit of the age, the sign of the times. People that influence it have their finger on the pulse. It captures the definitive feeling in a nutshell and it is compelling, captivating, and descriptive all at the same time. What is it? What exemplifies the zeitgeist? A political movement? A film, a book, a song? A word? The New York Times was zeitgeist happy last Thursday. In the Thursday Styles section cover story, “Mr. Zeitgeist,” Tyler Brûlé is described as embodying “the border-agnostic sophisticate whom his Monocle brand is built around.” In such magazines as Wallpaper and Monocle, he is recognized as tastemaker of the design and cultural zeitgeist. And over in the Home section, Leatrice Eiseman describes Pantone’s color of the year as “an effort to distill the prevailing mood into a single hue.” Ultimately showing up in fashion and cosmetics, in choosing a color, “What we’re trying to do is get the feeling of the zeitgeist … an expression of a mood, an attitude, on the part of the consumers.” Not to go unnoticed (please notice! 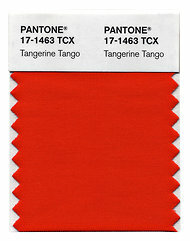 ), Lollapalingo was in on last year’s color zeitgeist, a creamy hot pink. 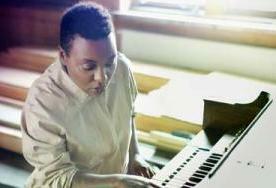 Ten-time Grammy nominee, Meshell Ndegeocello, has been “living a secluded life in rural upstate New York,” and that she has “happily divorced herself from the pop-cultural zeitgeist.” Through her soulful music, her collaborations with the likes of John Mellencamp, Herbie Hancock, and Madonna, and her fundraising efforts to fight AIDS and help Congo women – all together, Meshell is an important influencer, influencing the zeitgeist. She may have separated herself from the cultural zeitgeist, but her music and her activism continue to inform it. You can see a decade’s zeitgeist reflected in film. The 1960’s had “tune in, turn on, drop out.” See Woodstock and Easy Rider. The 1980’s was all about the power of money, money, money, money. See Wall Street and Working Girl. And in books. It is captured by Stephen King, a keen influencer of the zeitgeist, in his latest opus, 11/23/62. Expounding on JFK’s assassination, he channels our general feeling of, What if things were different? The Word of the Year illustrates the universal zeitgeist. Although occupy is the American Dialetic Society’s choice (more on this in the next post), to me the economy (see December 26, 2011 post) is the most influential factor on the year’s zeitgeist, its effects touching us all globally and personally now and for a long time. But it is in our daily Twitter feed that we find the sign of today’s times. Because the zeitgeist is, in fact, what is trending.